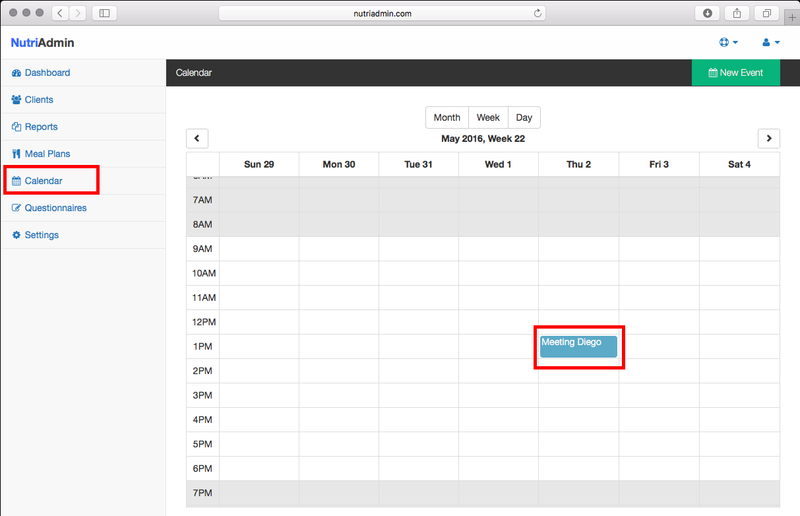 If you haven't yet synchronized your Google Calendar with Nutriadmin, you can follow these steps to do so. It should take no more than a few minutes. Why synchronizing your Google Calendar? If you use Google Calendar, you can synchronize it with the Nutriadmin calendar to make managing your time more efficient. Our appointment booking system will take your schedule into account when sending available appointment slots to your clients, blocking the dates you are unavailable and making the booking appointments much easier. How to synchronize with Google Calendar? Step 1: In the Settings menu click on the Integrations tab. You should see a screen similar to the screenshot below. Step 2: Click on the Authenticate with Google button and you will be redirected to the Google authentication screen like the one below. Click on the allow button to synchronize the calendar. 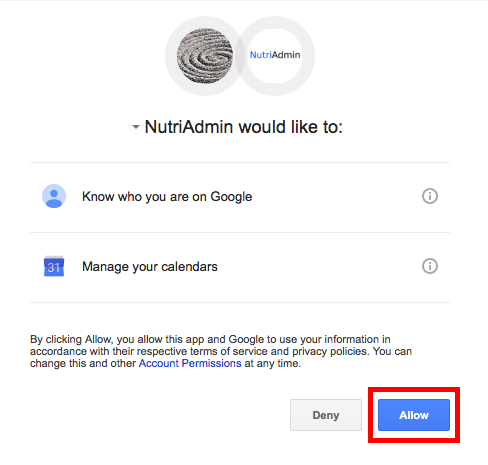 Step 3: After clicking the allow button, your Google Calendar will be synchronized with the Nutriadmin Calendar and you will be able to see your events in Nutriadmin. If you wish to check your events, you can go to the Calendar tab and all of them should be there. From now on, you will be able to manage all your calendars from Nutriadmin. You only need to do this once.